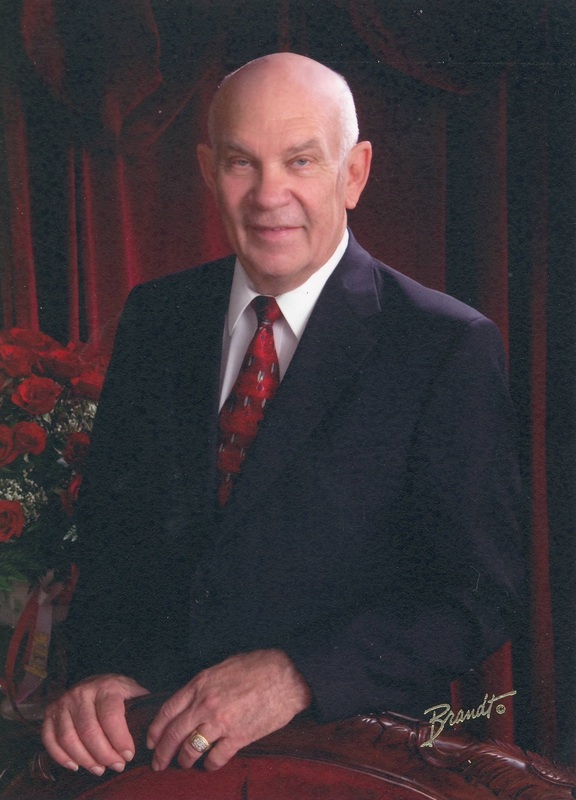 Donald Glen Millett left this earthly life and returned home to his Heavenly Father on Saturday, March 10, 2018 at the age of 88. Don was born on June 11, 1929 in Mesa, Arizona to W. Howard Millett and Lillian Freestone Millett. Don had 5 siblings: Howard, Lyal, Teddy, Ethel Mae (all deceased) and Richard. He had a wonderful childhood that consisted of playing with cousins, raising animals and working on their family farm, milking cows and hauling hay. He attended Mesa High School where he participated in choir, football, basketball and track. In 1947, he was the State Champion running the 200-yard low hurdles. After high school, Don served an honorable mission for the Church of Jesus Christ of Latter-day Saints in the Eastern States Mission. In 1952, after serving his mission, he was sealed in the Mesa Arizona Temple to Donna Joan Steffey. He always referred to Donna as “The Girl of his Dreams” because of a dream he had had. They had 5 children together: Daniel Millett (Colleen), Stephanie Reber (Keith), Donald Dean Millett (deceased), Cathleen Freeman (Craig), Mark Millett (Tami). While raising their family, Don started out farming and then went into the Tractor business. While he was a Case tractor dealer, he grew to be the largest dealer in the Southwest. He eventually worked his way into selling Real Estate and getting his Brokers License. He made a career out of buying and developing land all around Arizona. His office, Don Millett and Associates, was located on the corner of Mesa Drive and 1st Avenue in Mesa for 45 years. He was the founder of the Mesa Sports Hall of Fame. In 1996 and 1997 Don & Donna served an LDS mission in the New Hampshire Manchester Mission. He enthusiastically shared the Gospel with anyone he came in contact with and was a tremendous missionary throughout his life. In his free time, Don loved to spend time up at his cabin in Christopher Creek, Arizona with Donna and his family. He was a devoted father and “Papa” and will always be remembered for his love of storytelling, tender heart and enthusiastic personality. He loved family history and genealogy and especially sharing family stories about his ancestors. In his lifetime he enjoyed activity in, and was a faithful member of, the Church of Jesus Christ of Latter-day Saints. He spent time serving as a member of the Bishopric, High Priest Group Leader, Stake Missionary (on 5 missions), but his favorite calling was serving as Scout Master for 5 years. He freely bore testimony of the mission of his Savior Jesus Christ, and His gospel. Don and Donna served in the Mesa Arizona Temple for 15 years. He was dearly loved by his family, friends and sweet wife Donna and will be sorely missed. He leaves behind a large posterity of 23 grandchildren and 66 great-grandchildren. Visitations will be held at Mesa Central Stake Center located at 925 N. Harris, Mesa, AZ 85203, on Friday, March 16, 2018 from 6:00 pm to 8:00 pm and on Saturday morning from 9 am to 9:45 am. The funeral service will be at the Mesa Central Stake building also located at 925 N. Harris, Mesa, Az 85203 on Saturday, March 17th, at 10:00 am. Burial services will be held at the City of Mesa Cemetery following the funeral service located at 1212 N Center St, Mesa, AZ 85201. All who knew Don are invited to enjoy his remembrance and celebrate his life at these services. I will always be great for the I spent with Don. He gave me great insights on important things in life. I will always hold dear the time Don and Donna came to my house here in Ohio, when we sat on my back deck and talked of the Gospel, he was very open to my thoughts,he was a very kind sole, he was very inspiring to listen to also. Im very sorry for your loss but know we will all see each other on the other side, may God bless him and all your family, and may you all find the peace only Christ can bring. My Uncle Donald was a tireless advocate of family history, genealogy and temple work. His mother, my grandmother Lillian Freestone Millett was a genuine pioneer in this area who positively affected this work to what it has become today. Without Uncle Donald’s leadership and efforts, before and after her passing, her records would not have been organized, computerized and preserved and become an example for others to follow. I am sure that some of these reasons are why there certainly is a multitude on the other side of the veil now greeting Donald Glen Millett. What a great patriarch of a beautiful family ! We’re so blessed to have two of our children marry into his family and be loved by him and call him “papa” ! I wish I could be there to honor Don and give you a hug. I am remembering all of the wonderful things we have shared with you. I send my love to you and your wonderful family. I have so many good memories of being friends with your family growing up. I remember all of the kids sleeping on the floor on our visits. I had so much fun. But more than the fun I had, I grew up seeing beautiful friendships my father had. I am so thankful to have seen the example of Don’s friendship with dad for a lifetime. They were happy to see each other again, simultaneous with you and your family missing Don. Thank you for such quality friendship. I’m so sorry to hear of your loss. While death is a hard thing for us to deal with because we miss physically being with those we love, it is wonderful to think about the reunions that are taking place on the other side right now. Know that we love you, and that our thoughts and prayers are with you at this time. We pray that you’ll feel our love as well as the love of our Savior and the peace that comes with knowing where Don is. We loved this great man! He embraced us into his extended family so graciously. We loved“Papa” and feel so blessed to have spent time with him and sweet Donna. They were always so generous in sharing Christopher Creek with their grandchildren and us by extension! What a truly noble man! Heartfelt love and sympathy to all from our family. We are sorry to hear of Don’s passing. We have appreciated his friendship for decades. He was good man. Our heartfelt love to all his family and cherished loved ones. Don was passionate about his love for his Savior Jesus Christ and The Church of Jesus Christ of Latter-day Saints, His wife Donna and their family and his country. He had a wonderful and rich life. We value his friendship and will miss our associations. Now, Don is home. Best wishes and our sympathy to Donna and the family.